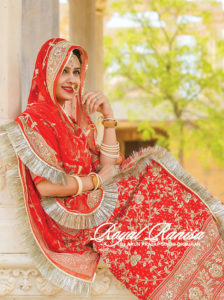 Royal Ranisa offers you unique designs and fresh colors to give you a refreshing look. All our Poshak are designed by professional experienced designers. We have Poshaks according to your taste. For daily use, we have light work Poshak and for special occasions, we have a variety of options with heavy work. 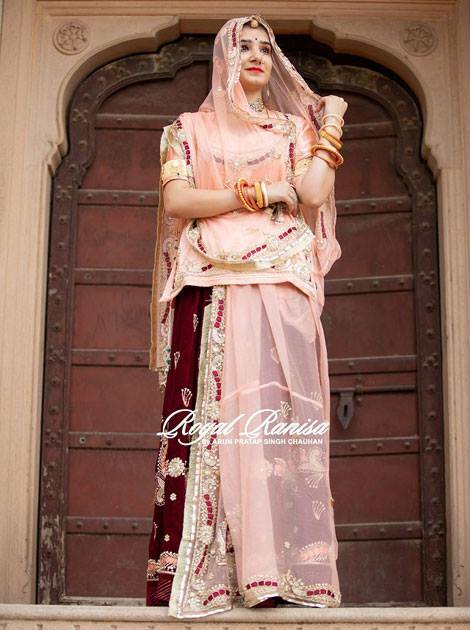 This gorgeous and refreshing look Rajputi Poshak is available in both light and dark colors. Also, the colors and work on the fabric have numerous options. The beautiful Rajputi Poshaks come in Pure Satin and Jod Georgette. The work on Rajputi Poshak varies from Goota-Patti, Resham, Sequence and Aari-Tari work. 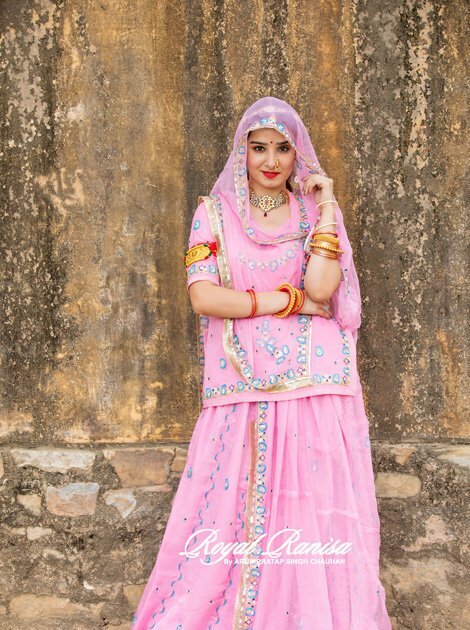 The best part about this collection of Rajputi Poshaks is that you have plenty of color options for different occasions and seasons. Both light and dark colors look amazing on women. Pick your Rajputi Poshak at Royal Ranisa store and be the first to try new collection. 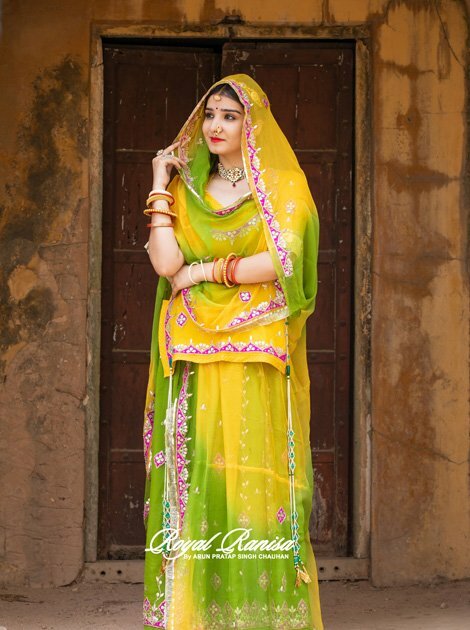 The Rajputi Poshak is a set of Odhani, Kanchali, and Lehenga. Range varies from the choice of fabric and work on Rajputi Poshak. You can find anything form your daily use to party attire. 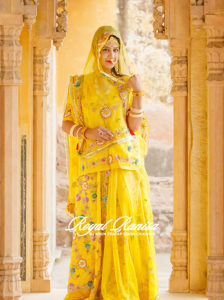 Royal Rajputi Poshak is the pride of Rajputi women and worn with even more royalty. It’s your time to try the beautiful Rajputi Poshak – A Royal Rajputi Dress.